NICE(1) is the 5th largest city in France, located on the famous Côte d’Azur, backed by the French Alps and facing the Mediterranean Sea. Nice is the administrative capital (prefecture) of the Alpes-Maritimes department, under the region of Provence-Alpes-Côte d’Azur. In the last 30 years, the population of the Alpes-Maritimes has grown by 52%, while the urban area grew by 141%. Nice covers around 72 km2, but today its urban area stretches beyond the city limits. It encompasses 721 km2, with a population of roughly 1 million people. Approximately 10% of the city’s population has a migration background (Tunisia, Italy, Morocco, Algeria and Portugal). The Tramway de Nice network links suburbs and city center. High-speed railway trains connect NICE to major cities in France and Europe. The port of Nice is a significant gateway also to Corsica and the entire Mediterranean. In 2011, 49 municipalities of Alpes-Maritimes including Nice began to form a joint metropolitan structure called ‘Métropole Nice Côte d’Azur’ (2). This allows closer cooperation in areas such as commerce, sport and recreation, healthcare, security, transport and others. Construction and booming tourism drove economic prosperity in the second half of the 20th century. Both sectors still play important roles in the city’s development. 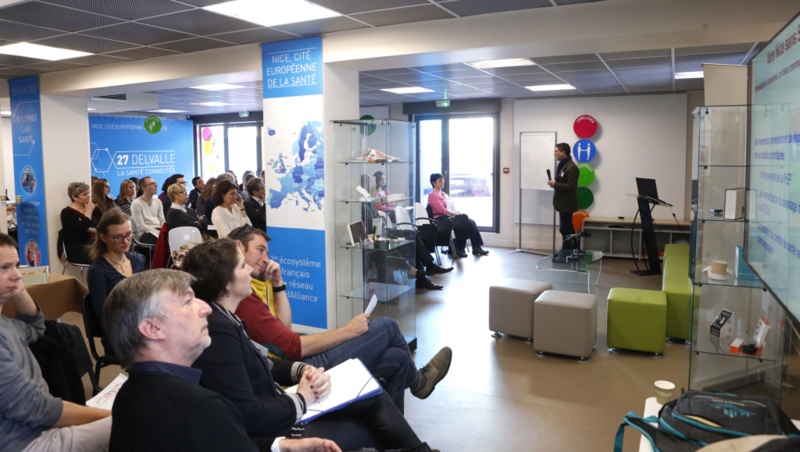 But Nice decided to redirect its economic base towards technology and innovation. 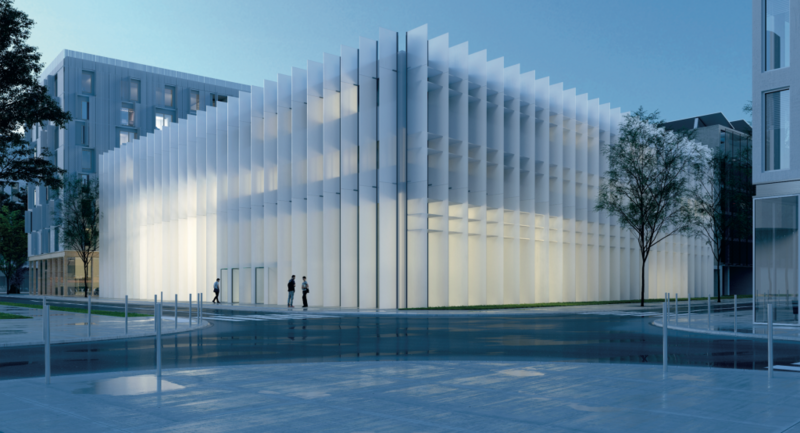 With Nice at the centre, the Métropole Nice Côte d’Azur now hosts major firms in the telecommunications, Internet, multimedia, life sciences and biotechnology sectors. Located on the French Riviera with a rich history and attractive points of interests, such as the fabulous waterfront area of the Promenade des Anglais, or cultural heritage sites such as The Place Masséna, the main square of the city, or the Basilica of Notre-Dame de Nice, a Neo-Gothic style Roman Catholic basilica built between 1864 and 1868. Nice is one of the European ‘lighthouse cities’ in terms of exemplary ‘integrated urban development’ under the stipulations of the 2016 ‘Urban Agenda for the European Union’ (‘Pact of Amsterdam’ for ‘multilevel governance’, i.e. local, regional, national and EU-level coordinated cooperation)(3). It has been participating in various EU co-funded research and cooperation projects under joint R&D frameworks such as HORIZON 2020(4). 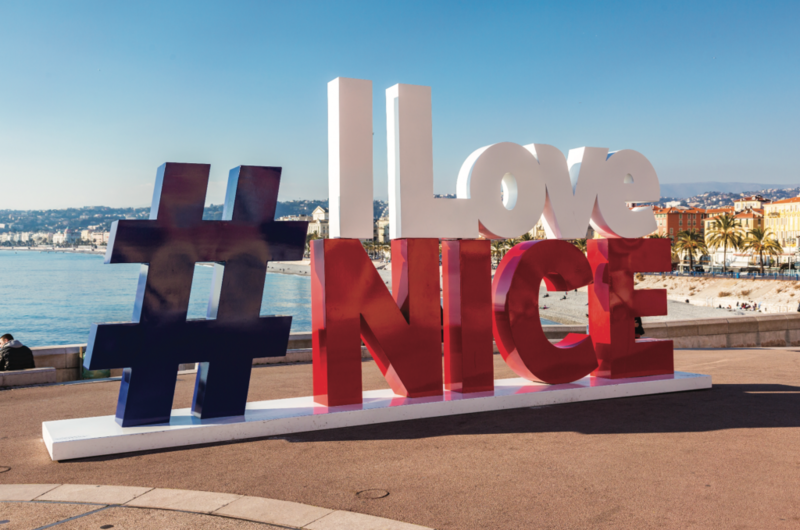 Nice is also a member and active contributor to several European and global urban networks such as EUROCITIES(5), the Green Digital Charter (6)and the Global Covenant of Mayors for Climate and Energy(7). Together with Utrecht (Netherlands) and Gothenburg (Sweden), it is now a lead partner in the European urban consortium IRIS (Integrated and Replicable Solutions for Co-Creation in Sustainable Cities)(8). The IRIS project (from 2017 to 2022) draws upon a mix of university and research organizations, city authorities and others to adopt far-reaching energy, mobility and ICT solutions in these three ‘lighthouse cities’. These will then be replicated in the ‘follower cities of Vaasa (Finland), Alexandroupolis (Greece), Santa Cruz de Tenerife (Spain) and Focsani (Romania). The project’s full consortium consists of 43 partners from 9 European countries, which are held to have ‘the experience, the knowledge and the technology to achieve the goal of transforming European cities into the Smart Cities of the future’(9). In accordance with ‘Europe 2020’(10)and the 2015 ‘Paris Agreement’(11)(COP21) under the United Nations Framework Convention on Climate Change Nice is committed to drastic reductions of global greenhouse gas emissions, hence to sustainable urban development principles. 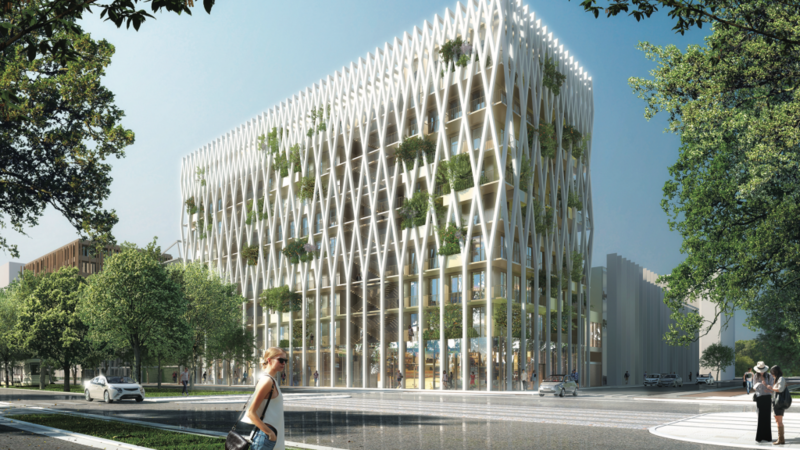 In cooperation with French national authorities, the region Alpes-Maritimes and 48 municipalities of the Métropole Nice Côte d’Azur urban region, it has formalized its commitments in a strategic planning document entitled ‘Plan d’Urbanisme’ (PLU)(12). The plan is closely linked with substantial economic and innovation policies (smart city / knowledge clusters / public/private partnerships). The presentation of the PLU and subsequent urban projects will form the backbone of the exhibition. In 2017, Nice became one of ten finalists for the EU iCapital Award on the strength of its comprehensive plans and projects for the digitalization of the city(13), not least in smart energy grid solutions and healthcare innovations. There is also the ongoing Smart and Sustainable Metropolis(14) research program in applied big data analytics and the creation of the Nice Méridia(15) urban technopolis (mixed-use urban area with clustering of private-public research cooperations, R&D centres, tertiary education, in cooperation with international firms such as IBM, Cisco, Bosch, Veolia and others. 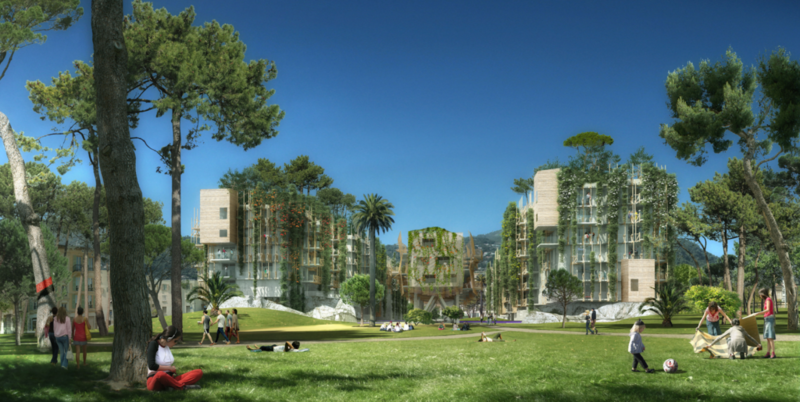 Nice Méridia is one of three major development zones within the Éco-Vallée, a corridor of urban innovation projects stretching across the mountains from the coastal Grand Arenas (mobility hub, international business centre) via Les Moulins (high density social housing and urban renewal area) to Nice-Méridia(16). Major projects along this corridor will be presented in public seminars.